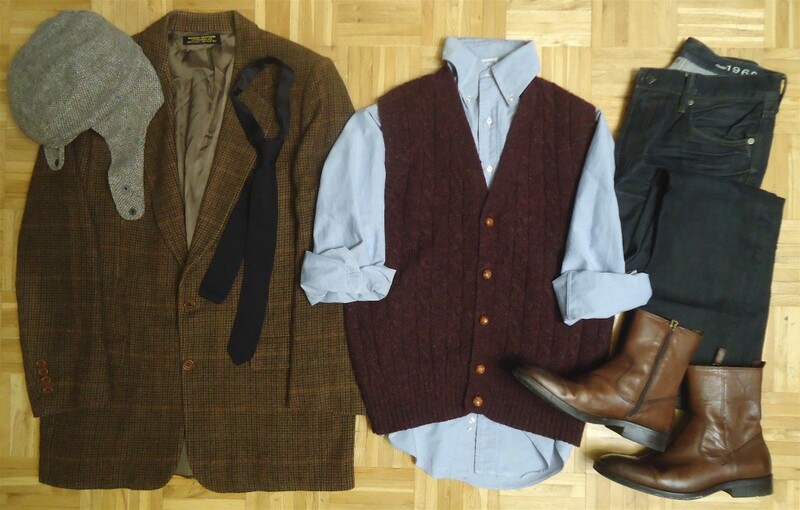 Top—Shetland cable knit cardigan sweater vest with leather buttons from vintage Chaps Ralph Lauren; Brooks Brothers plaid camel hair blazer and OCBD; Dolce & Gabbana black silk knit necktie; Gap dark wash boot cut denim (or your vastly superior selvege pair); brown Chelsea boot; vintage Pendleton chin strap wool tweed flat cap. 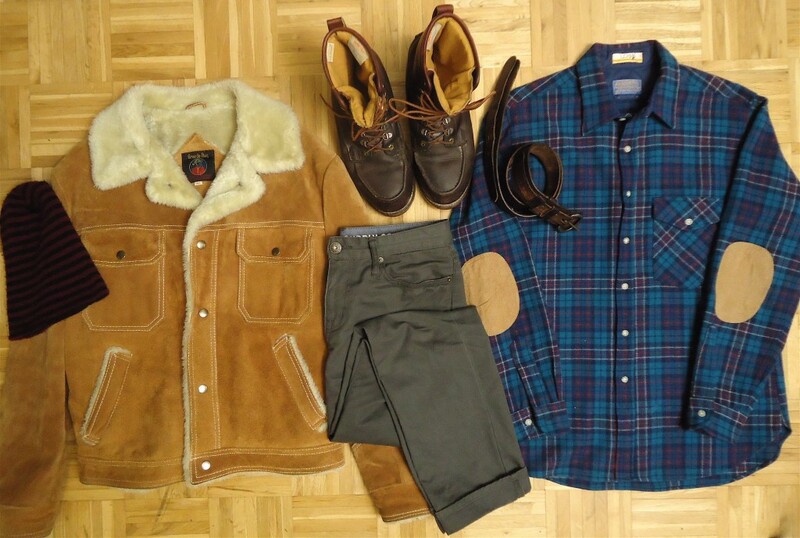 Bottom—Vintage faux shearling, suede trucker coat from Grande Bay; striped knit beanie hat; vintage Pendleton plaid wool flannel with suede elbow patches; slim-straight cut, 5-pocket twill trousers; vintage L.L. Bean lined work boots with matching belt.